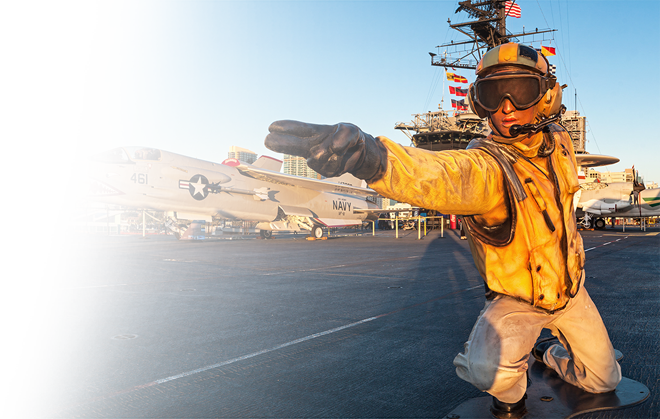 Do you feel the need… the need for TOP GUN ON MIDWAY? The danger zone might be closed for now, but stay tuned to be updated on what our 2019 “Top Gun Party & Movie Night” dates will be and when tickets will go on sale! 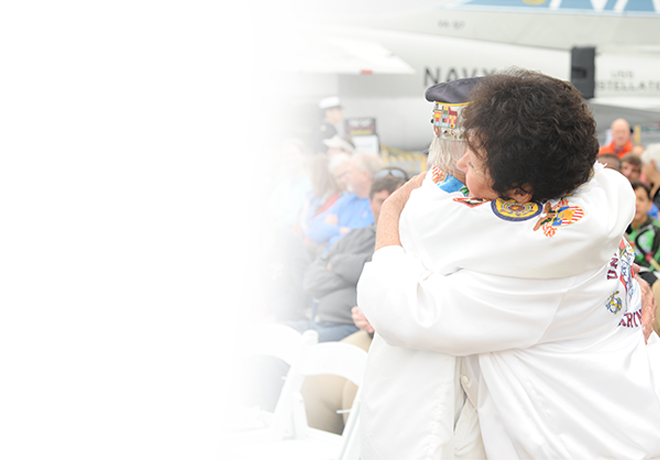 Tag your Top Gun event photos with the hashtag #TopGunOnMidway to be featured here! GET UPDATES ABOUT TOP GUN MOVIE NIGHT 2019! 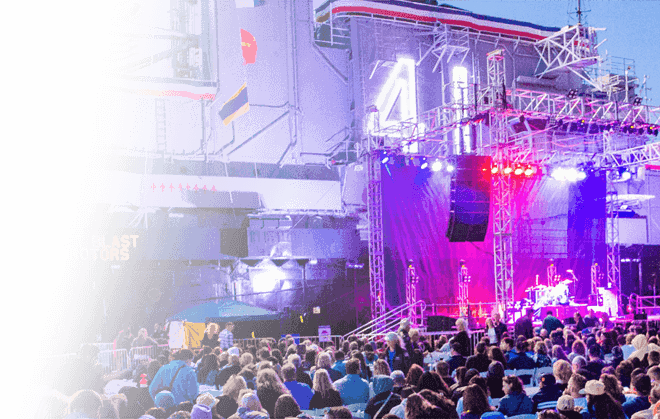 Bring your lawn chairs and blankets and get comfy on the flight deck as we screen Top Gun from two large screens. Note: This is an open-air space and sweaters or jackets are recommended. Take your pick from a menu of tasty BBQ offering from the iconic Kansas City BBQ. Stop by a Midway bar to pick up your themed beverage creation! Sip on a “Jet Fuel Mule” as you stand next to our F-14 and enjoy the breathtaking San Diego views! Meet the real "Viper" & Midway's Maverick! Take photos with TOP GUN all-stars including Midway Volunteer and former Top Gun pilot and consultant on Top Gun the movie, Pete “Viper” Pettigrew and Midway’s Maverick. 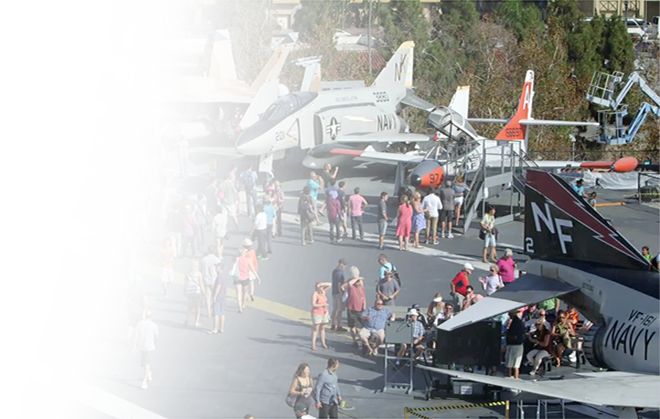 Test your pilot skills in Midway’s Flight Simulators located in the hangar bay. Hop in, battle the enemy, and enjoy the ride! 6-pack sized cooler containing small snack items, non-alcohol beverages in plastic containers. 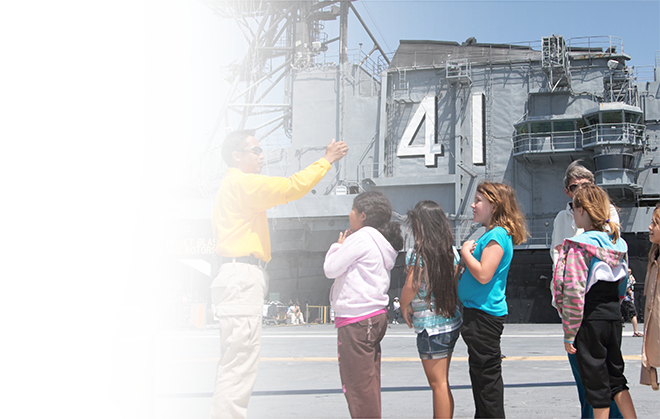 All bags, coolers, pockets, and the like are subject to be checked by USS Midway Museum Safety staff for the security of all guests. Thank you for your cooperation. How many tickets am I able to purchase? You can purchase 6 tickets per transaction. Can I get a refund or exchange my tickets for the second showing? There are no refunds or exchanges on ticket purchases due to the overwhelming demand of this event. Can I purchase additional tickets the day of the event? No. Tickets must be purchased in advance. Can a cell phone be used to show proof of ticket purchase? Yes, you may use your mobile devices to have your ticket(s) scanned. Phone screen must not be cracked and phone brightness must be turned up for scanning. If I have a museum ticket visiting during regular museum hours, can I stay onboard until the event begins? No. A separate ticket for the movie is required. All daytime museum guests must exit the ship at 5 pm. The museum will reopen at 6:00 pm only for those with movie tickets. Yes, all ages are welcome but all guests are required to have a ticket no matter the age. However, be advised this will be an adult environment with adult content in the movie, as well as alcohol being served. Can group tickets be purchased? We are unable to offer group ticket purchases. Due to limited availability, tickets are first come first serve. Can a ticket(s) be transferred to a friend or family member if I am unable to attend? Yes. They will still need to have ticket(s) for admission. Please note, we are unable to hold tickets for guests at the entrance. Make sure everyone has their ticket in advance if you purchase for them and if they are coming separately. Again, please note there are no in and out privileges. Will there be activities prior to when the movie starts? Is there food/drink available for sale? Yes. The famous Kansas City BBQ will be onsite selling some of their BBQ classics. There will also be an assortment of concessions and beverages available for purchase, including alcoholic beverages like the “Jet Fuel Mule” specialty drink. What can guests bring onboard? What are items not allowed to bring onboard? Will there be an ADA location? Yes, we will have limited reserved ADA areas on a first come first serve basis. Is there an elevator for public use? One passenger elevator is available. Priority usage will be for guests with wheelchairs and guests with difficulty climbing stairs. 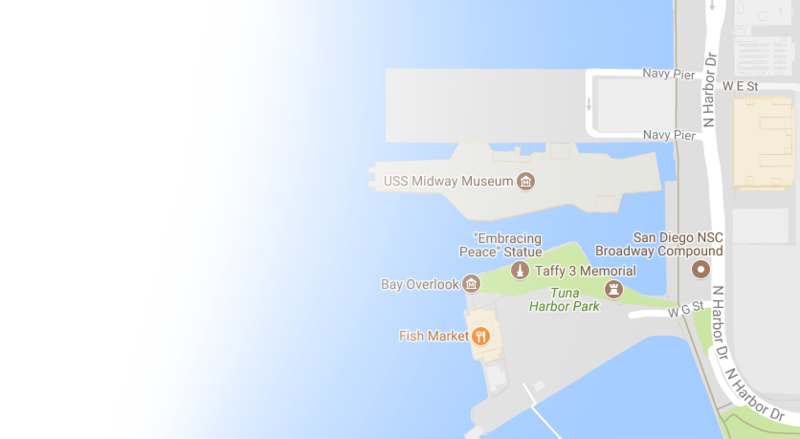 There is parking located on Navy Pier, owned and operated by the Port of San Diego for passenger vehicles only. Parking rates are generally between $10 – $20 subject to change at the discretion of Ace Parking and the Port of San Diego. Parking rates generally increase for special events and holidays and parking is first come first served. Front-row handicapped parking spaces are available on a first-come, first-served basis. Guests are highly encouraged to take public transportation to the Midway due to very limited parking on the pier. Nearby trolley stops to the ship are the Santa Fe Depot and Seaport Village Station. Please visit https://www.midway.org/Directions-Parking for additional information.